The monograph is devoted to the history of the creation of the European Union, its current position and influence on the political fate of Europe. The authors consider not only the sources and dynamics of the development of the European Union, but also the peculiarity of the situation in the leading member states. Some historical-state traditions of a particular country that affect or may influence the situation in it are subjected to analysis. The book describes the constitutional-political system and the party landscape, socio-economic situation, relations with the European Union. 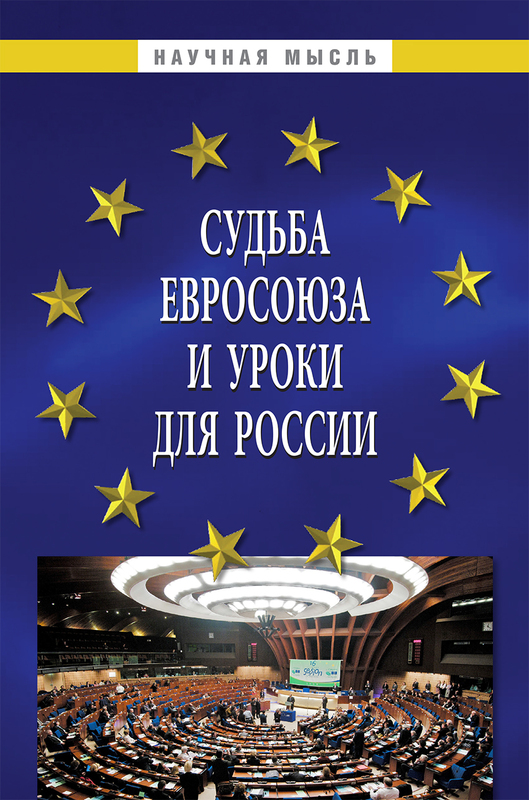 Based on the analysis, the team of the monograph concludes that Russia and participants of integration interstate associations should draw lessons from the fate of the European Union: do not force rapprochement, do not encroach on the state sovereignty of their members, respect the opinion of ordinary people. The publication is intended for specialists in the field of European politics, European law, world politics, international relations, as well as for a wide range of readers interested in the political life of Europe. A.D. Gulyakov — cand. legal Sciences, Associate Professor, Rector of Penza State University. A.Y. Salomatin — dr. Ju. Sciences, Dr. East. sciences, professor, corresponding member of AASP, head. Department of Theory of State and Law and Political Science of PSU. A.V. Malko — dr. Ju. Sci., Professor, Director of the Saratov Branch of the Institute of State and Law of the Russian Academy of Sciences, Honored Scientist of the Russian Federation. M.V. Zakharova — cand. legal Sciences, Associate Professor Moscow State Law Academy. O.E. Kutafina, Doctor of Public Law (France), Corresponding Member of AISP. V.A. Terehin — cand. legal Sciences, Associate Professor, Head. Department of Justice, PSU. E.A. Ageeva — cand. legal Sciences, Associate Professor, Head. Department of State and Legal Disciplines, St. Petersburg State Agrarian University. A.V. Melikov — cand. tech. Sciences, associate professor of Volgograd State Agrarian University. N.V. Makeeva — cand. legal Sciences, Associate Professor of PSU. E.V. Nakvakina — cand. ist Sciences, Associate Professor of PSU. A.E. Siushkin — cand. sociol. Sciences, Associate Professor of PSU. A.Y. Starikova — cand. tech. Sciences, Associate Professor of PSU. A.F. Nikitin — cand. ist Sciences, Associate Professor of PSU. V.V. Elistratova — cand. legal Sci., associate professor of the Saratov State Law Academy. E.I. Sadovnikova — cand. ist Sciences, Associate Professor of PSU. A.G. Sharikov — cand. ist Sciences, Associate Professor of PSU. A.S. Koryakina — graduate student of PGU.